Jughead has led a zombie army through Riverdale, eating the flesh of the townsfolk. A group of survivors are huddled together at the Lodge Mansion, but how long can they hold out with the undead closing in? Archie, Betty, Veronica, and a select few others are at the end of their rope and they need to figure out what they're going to do next if they intend to keep breathing. Afterlife with Archie completes its first story arc with this issue and it's a fitting closer to the initial setup. After the emotional ride that was issue #4, this chapter is more about picking up the pieces. This is the part of the zombie story where everyone realizes that this is very real. Their friends and loved ones have died and now there are monsters out there that look just like them, but they're bloodthirsty savages ready to devour them. It hits each character differently, but all of their minds go from denial to some form of acceptance. This is their new status quo. Author Roberto Aguirre Sacasa even manages to pull in some of the classic Archie / Betty / Veronica love triangle within this issue. It's handled in a way that is very natural, with the title character seeking the comfort of one of the girls after he returns to the mansion, having killed his zombie father. In a moment of weakness, he forgets that he “can't decide” between the two of them and just breaks down. Meanwhile, the other one hears what's going on and has to come to terms with the fact that she wasn't the one that Archie confided in. Francesco Francavilla has quickly become one of my favorite artists working today. 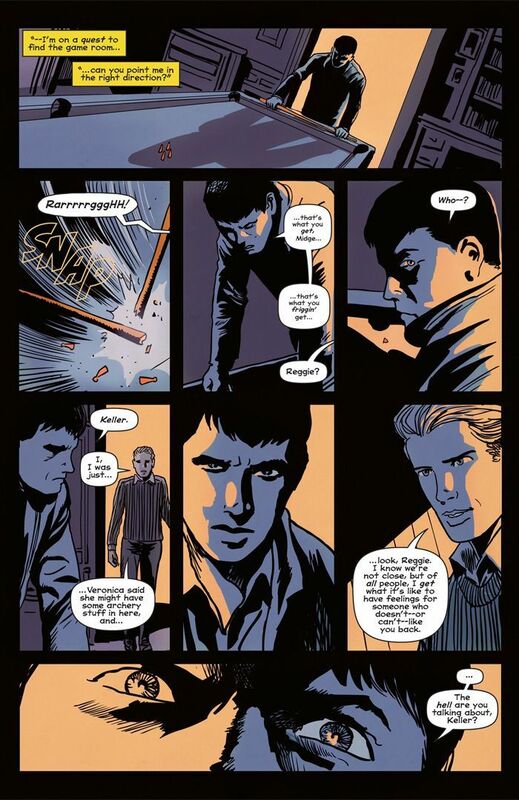 He brings so much to every issue of Afterlife with Archie (not to mention everything else he works on). From his amazing covers to his gorgeous interiors, Fracavilla turns in some fantastic art. 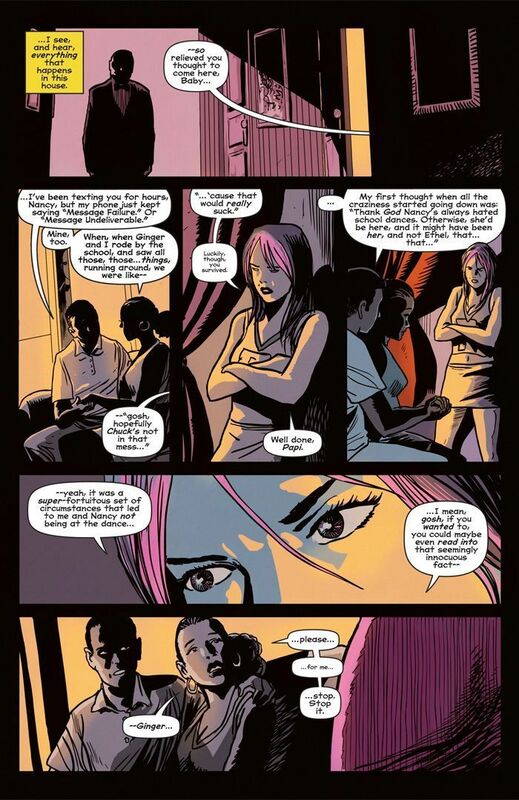 Francavilla has an excellent control over color throughout the comic. There's a flashback early on that is shown in a light shade, as if you're looking at a series of old Polaroid pictures. Since the electricity in the present-day mansion is minimal, running only through a generator, there's a clever use of light and shadow as the characters decide what to do next. A scene's emotion level is heightened by a character's long shadow or their face shrouded in darkness. Francavilla also manages to only show the zombies in red, which is a nice touch. Whenever they show up on the page, it instantly screams “Danger!”, which is saying something considering one of the main zombies is Jughead. 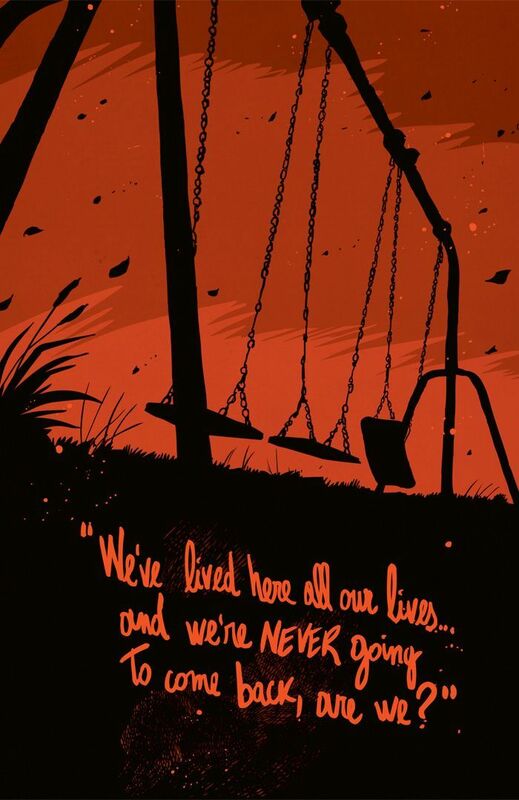 Afterlife with Archie is a solid comic that manages to balance terrifying horror with pure emotion. Although my experience with Archie comics is limited only to this series, I feel like I've known these characters forever. I have a vested interest in seeing them survive. They're not just cannon fodder for the zombie horde. As such, I eagerly await what will happen next as the series heads into its second story arc.